At the 20th Silvretta Classic Rally Montafon Mercedes-Benz Classic is highlighting two powerful perspectives of the tradition of sportiness in the history of the brand: a Mercedes-Benz dating back to 1928 plus four coupés from the upper-medium-size category are entering the rally. The SSK recalls the successes of the Kompressor sports cars S to SSK nine decades ago. With their body shape the coupés of model series W 114 and C 124 honour what is probably the most elegant interpretation of automotive sportiness. The Mercedes-Benz 300 CE 6.0 AMG, "The Hammer", has a particularly striking appearance. Its participation calls to mind the 50th anniversary of Mercedes-AMG, the sports car and performance brand of Mercedes-Benz. 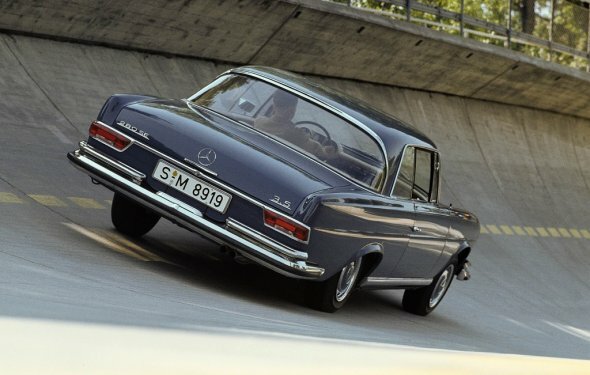 The coupés are being driven by drivers such as the Brand Ambassadors Klaus Ludwig and Karl Wendlinger. The Silvretta Classic Rally Montafon is being held from 6 to 9 July 2017. Stuttgart. Mercedes-Benz SSK models on the Silvretta high alpine road: the meeting of two masterpieces of the engineering artistry of their day at the 20th Silvretta Classic Rally Montafon. The Mercedes-Benz SSK built in 1928 represents the family of Kompressor sports cars S, SS and SSK. At the end of the 1920s and beginning of the 1930s they enjoyed considerable success in races and as exclusive sporty private vehicles. The victorious cars were nicknamed the "White Elephants" by their fans. For these powerpacks painted in Germany´s racing colour of white are strong, powerful – and the awesome roaring of their belt-driven supercharger, which manually compresses the charge air is reminiscent of the pachyderm´s trumpeting. The model designation of the SSK from model series W 06 stands for "Super-Sport-Kurz" ("super sport short"). With its manually charged 7.1-litre six-cylinder inline engine the car has an output of 125 kW (170 hp), and with its belt-driven supercharger switched on 165 kW (225 hp). The top speed is 192 km/h. This high-performance sports car is – like the other models in its family – among the most successful racing cars of its era: at the premiere of the model S Rudolf Caracciola won the inaugural race on the Nürburgring on 19 June 1927. This was following by numerous further victories, including those in high-calibre mountain races such as the International Klausenpass Race in Switzerland. In the summer of 1928, works driver Caracciola won the Gabelbach Race at the first attempt as well as the races at Schauinsland and Mont Ventoux with the brand-new Mercedes-Benz SSK. In 1930 Caracciola became European Mountain Champion and achieved a class victory in the long-distance Mille Miglia race in Italy in the SSK. Then in 1931 in the Mercedes-Benz SSKL – the final level of development of the SSK – he was the first non-Italian racing driver to win the overall ranking in the "Thousand Miles".